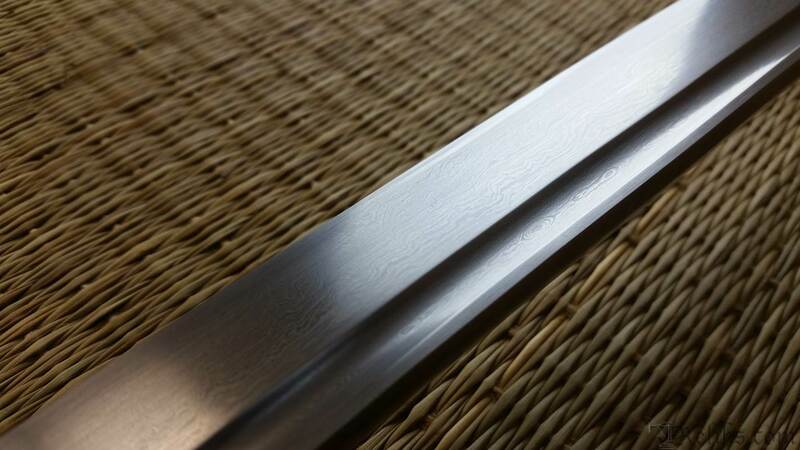 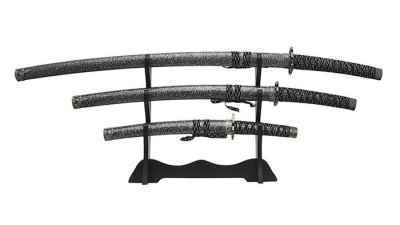 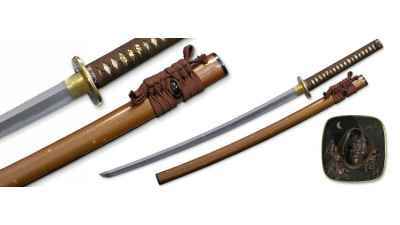 This hand forged katana will be noticed in your collection. 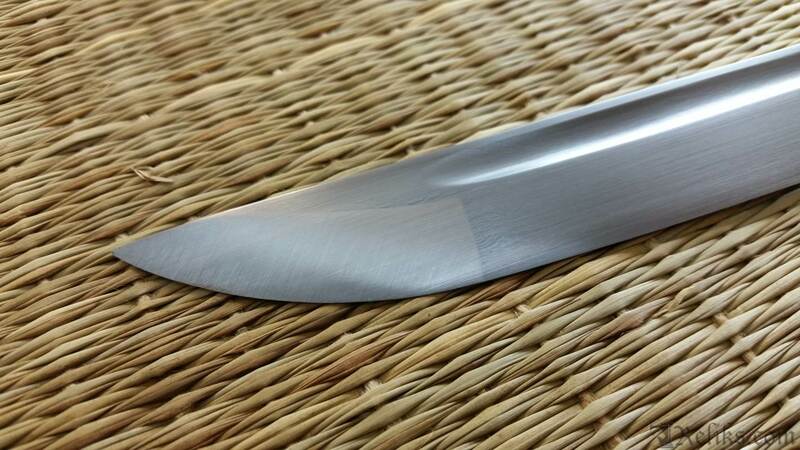 The 10 layers of folded damascus high carbon steel is esthetically beautiful. 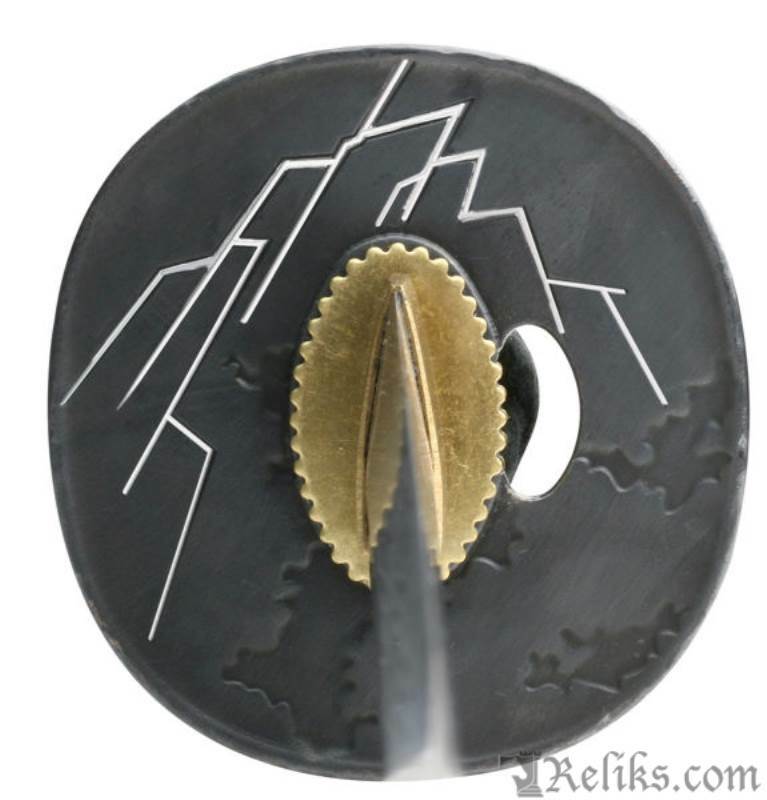 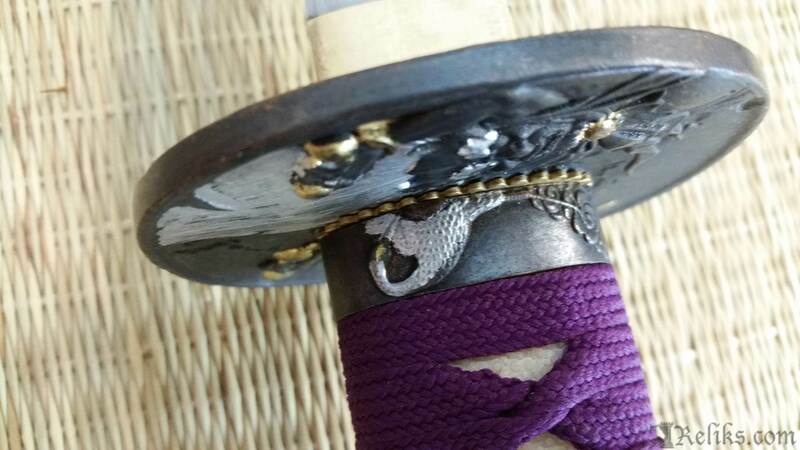 Oxidized zinc alloy tsuba with Japanese Thunder God symbol. 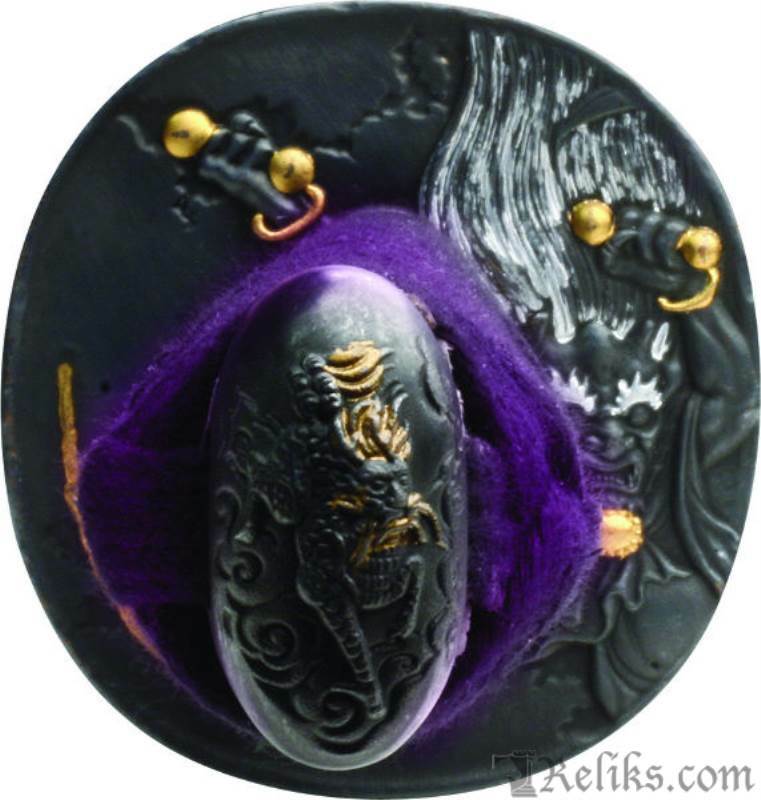 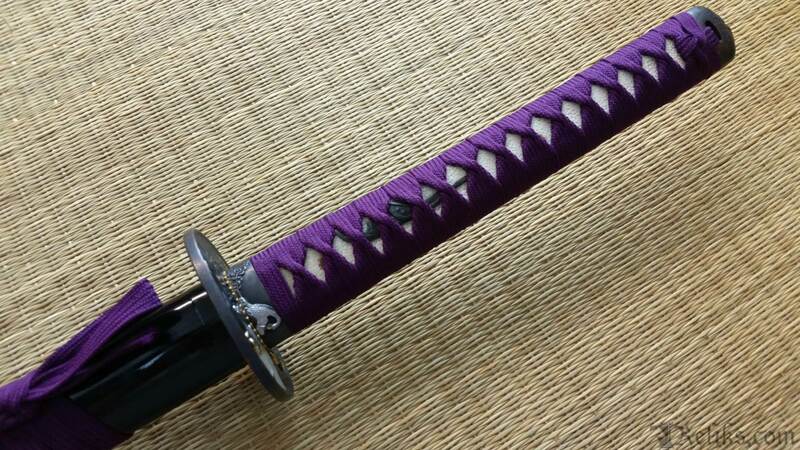 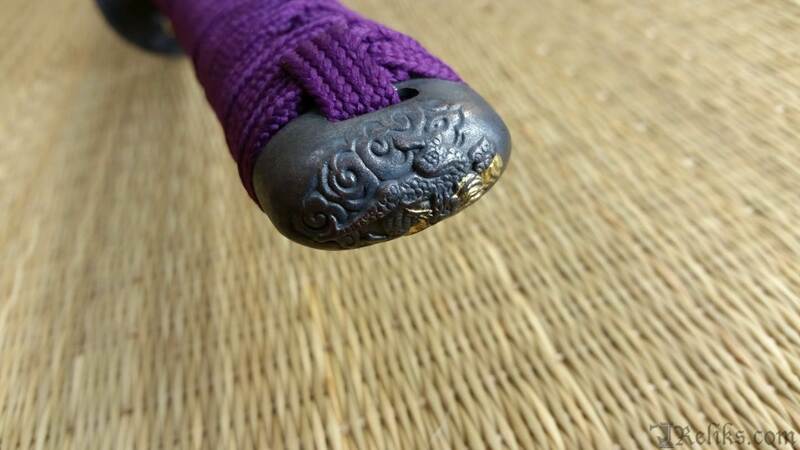 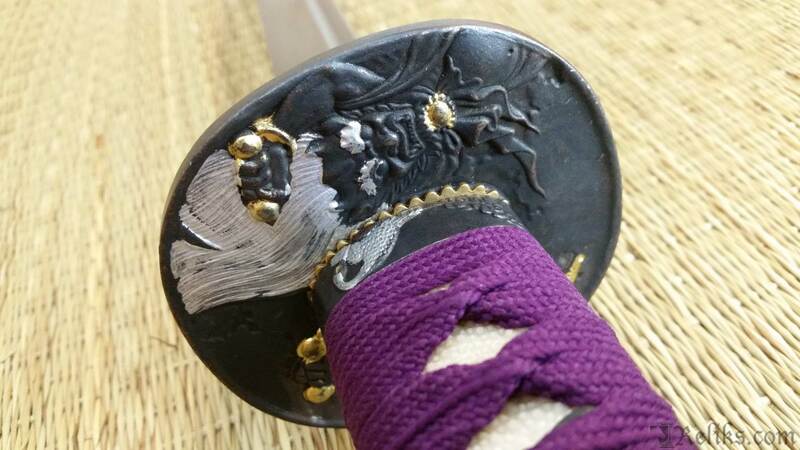 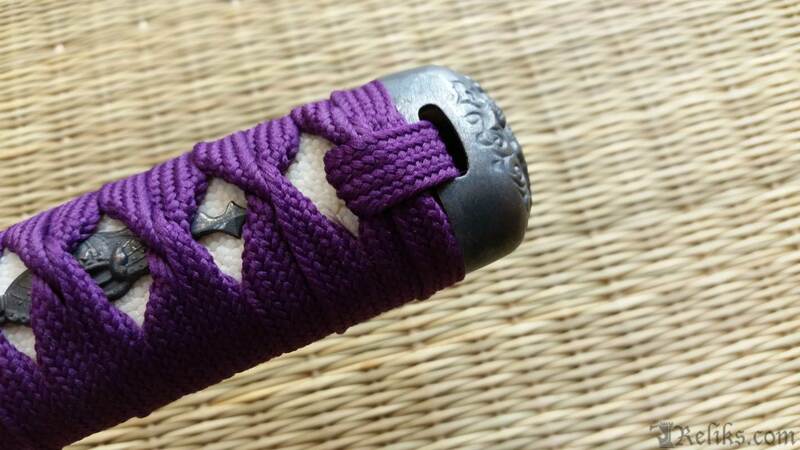 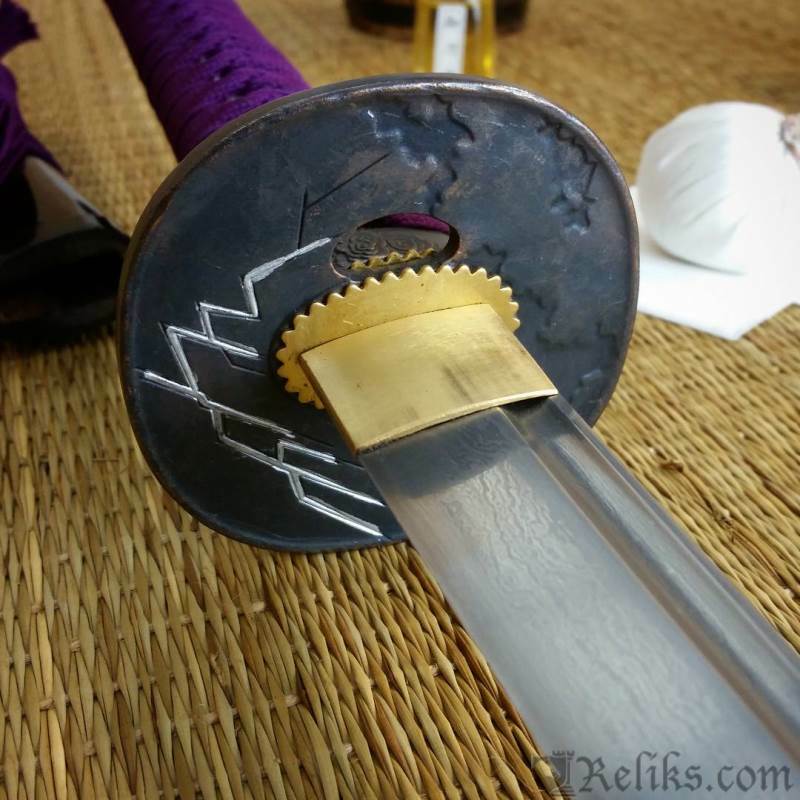 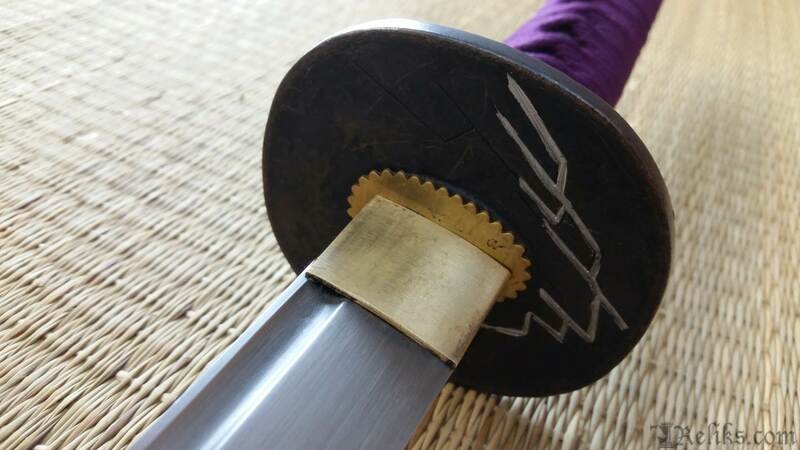 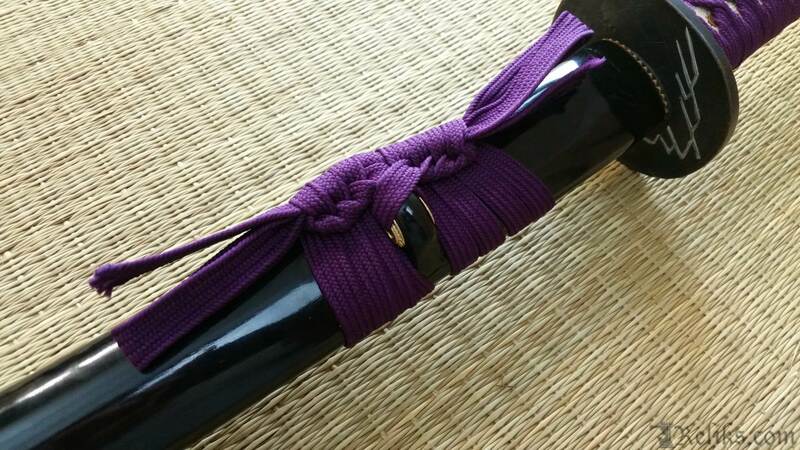 The tsuka (handle) is wrapped with real purple Japanese purpose silk with black lacquer finished scabbard. 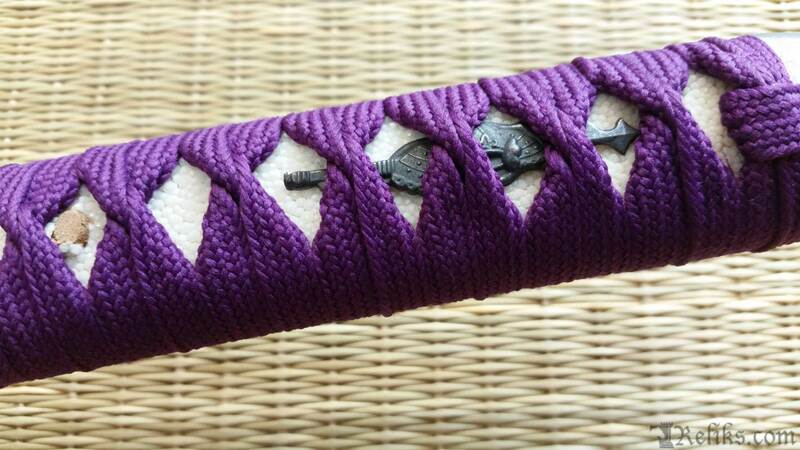 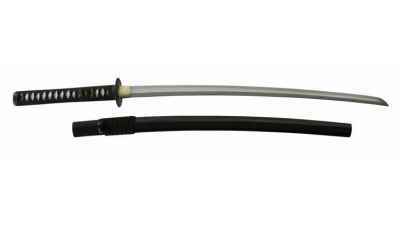 This samurai katana includes a cotton sword bag.